Huge surprise today as 2K Sports has officially announced MLB 2K13. Last year the third party exclusive license with the MLB expired and at the time the company did not renew. That deal was losing Take Two over $30 million every year. At some point in between then and now a deal was reached to continue to the 2K series but under much more favorable terms. 2K is now operating under an agreement that is not exclusive and financially reasonable. MLB was in a position where they could either present the option of continuing to work with 2K for much cheaper or go without baseball completely on the Xbox 360 and possibly even the next Xbox. No other company would have agreed to similar terms as the past deal nor would they have been in position to release a game this year regardless. While the MLB 2K series is largely despised having it available is a good thing for consumers. It at least presents an option for those with the 360 and some form of competition, even if not completely credible in that regard, for MLB: The Show. 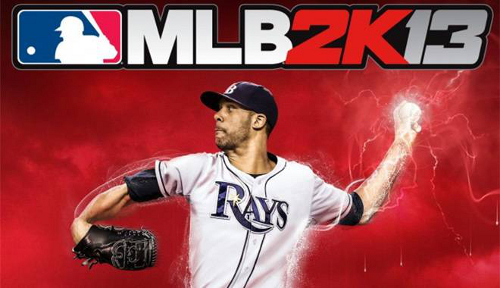 Tampa Bay Rays pitcher David Price will appear on the cover of MLB 2K13 which will release on March 5.